The Convenience market is currently valued at around £38bn and is one of the top three fastest growing sectors in UK retail according to the IGD, the global food and grocery experts. Turnover grew by £500m between 2016 and 2017 and sales through convenience amount to one fifth of the total grocery market. This growth is being fuelled by busier lifestyles and changes in shopper behaviour; more and more people are shopping little and often, rather than doing a big weekly shop in the supermarket. This has opened up a huge opportunity for convenience and the market is set to explode over the next 5 years with sales predicted to grow by an impressive 18% to £47.1bn. There are 49,918 convenience stores in the UK. Symbol groups (15,491 stores) account for 38.2% (£14.5bn) of sales, multiple chains and co-operatives (7,152 stores) account for 34.5% (£13.1bn) of sales and non affiliated stores (18,841 stores) account for 16.8% (£6.3bn) of sales. So independent retailers (non affiliated and symbol) continue to make the biggest contribution to sales in the sector, in addition to having the highest number of stores in the sector. Understanding the convenience landscape, where growth is happening and how to maximise sales is critically important. Whether you are a new food and drink brand looking to get a foothold in the market or an established brand, convenience is a top priority and offers big rewards for those who get it right. And of course, the key to getting it right is creative and innovative convenience retail marketing. Once you’ve got your head around the market dynamics and the potential size of the prize across independents, symbol convenience and multiple convenience, your next priority needs to be reaching and engaging key decision makers. It’s not a job for the faint hearted, tackling and winning with food and drink trade marketing in such a fragmented and challenging market requires real focus and expertise. But fortunately there is help at hand. Jellybean has been operating in food and drink for thirty years and we really do understand what is required to bring about success in convenience. Unlike the grocery multiples (where you can fit all the decision makers to cover the market comfortably into one room), convenience is much more complex with a much wider number of decision makers and influencers to reach. As highlighted by the market map, the convenience market has many thousands of stores, operating entirely independently or as part of a symbol or multiple group. Each has their own route to market and specific set of challenges and opportunities. Defining focus and prioritising the right sectors for any food and drink brand is the first step on the path to successful food and drink marketing in retail convenience. A common mistake is for brands to be pulled by the opportunities presented by the market, rather than setting out with a clear plan of action based on product fit to market and the size of the sector opportunity. Fortunately there is plenty of data and insight available from trusted organisations in the sector, so there is a good deal of information available to accurately estimate the size of the opportunity and which groups of retailers to target. But the challenge of course is being able to really understand the different retailers, their commercial agendas, their route to market and their buying motivations and influences. Getting your product noticed and listed is the first hurdle. The next and perhaps more challenging hurdle is pulling sales through via the route to market from convenience retailers. Both require really effective and targeted trade selling tools and trade marketing campaigns. Understanding the decision-making process and influencers within each organisation is hugely important. Are they a multiple convenience store with buying power at head office level, a symbol group c-store working to a fixed planogram but with some freedom and choice day to day, or are they an unaffiliated independent with complete autonomy over range and price? What challenges does their particular store format and location hold? Are they positioned in a rural, urban or high street location? What is their shopper profile and what missions are they on? Is it top up shopping, food to go or food for later that is driving their sales. What competition do they have on their door step? And how can your food and drink products help them to create real differentiation? The route to market for convenience is complicated. In order to reach independents, you need to gain listings with wholesalers and/or the symbol group head offices who service your target sector. There are the big national delivered wholesalers including Booker Makro, Bestway and Palmer and Harvey. There are many hundreds of traditional cash and carry depots throughout the UK including the likes of Dhamecha, Parfetts as well as Booker and Bestway. Also there is a whole raft of regional and specialist wholesalers, as well as the symbol groups themselves including: Spar, Costcutter, Premier, Londis, Budgens, Nisa and the list goes on. Here you need to understand how you can offer the wholesaler or symbol group value and help them grow the category and drive margin. Indeed, margin is an important factor to consider when looking to grow your brand in convenience as the wholesaler or symbol group will add a mark-up as will the retailer, therefore you need to ensure your sell-in price and RRP is realistic to allow for both stages of mark-up. Of course, the product format and fit for convenience is also critical. The convenience channel wants products designed to meet their needs and the needs of their customers. The right pack and case format, the right packaging and the right price point (including PMP’s where appropriate) are critically important. The convenience market is in a continual state of flux with ongoing talks of mergers and acquisitions between the big grocery multiples, wholesalers and symbol groups. As the big boys in grocery look to strengthen their position in convenience and tap into the forecasted growth, they are eyeing up potential convenience groups to acquire. Tesco Booker and Sainsbury’s Nisa are two of the most high profile mergers that have been tabled in 2016/17. Expect to see more twists and turns along the way. Rising food prices, ever-increasing employment costs and Brexit related economic uncertainty are just some of the challenges facing the convenience sector. But retailers and food & drink brands can overcome these challenges by capitalising on the latest shopper trends, such as food to go, food for later, delivery services, new innovation and free from products. To keep one step ahead, convenience retailers and food & drink brands are having to be smart about their value equation and offer products and services that are innovative, unique, special and maybe even exclusive to improve the distinctiveness of their offer. Getting this right, combined with the entrepreneurial spirit of local retailers, will capitalise on the trend towards small store shopping and will attract new shoppers to drive incremental sales. As the number of people doing a weekly shop in supermarkets continues to decline, the opportunities this presents for convenience continues to rise. The use of discounters and online grocery shopping is likely to continue to grow at a steady rate (now regularly used by 51% and 25% of the UK population say IGD) and shoppers will still be demanding an increasingly ‘convenient’ shopping experience. 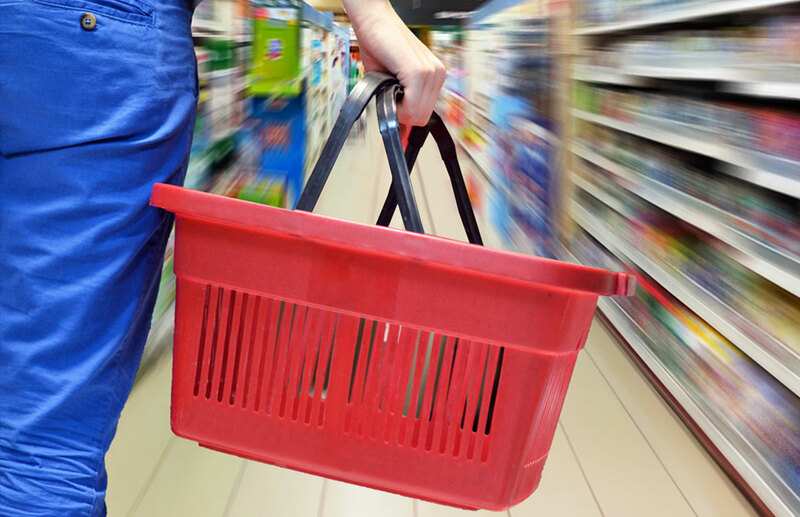 According to the IGD some 56% of all UK adult shoppers claim to have visited a convenience store for a top-up shop on their last trip, while over a quarter (28%) shopped for food-to-go. Choosing ranges and positioning them in a way to appeal to these shoppers will ultimately drive sales. Him! a specialist research and insights consultancy for convenience recently unveiled six key shopper profiles which it believes are going to have the biggest impact on the convenience channel over the next few years. More than nine in ten (91%) UK grocery shoppers visited a convenience store in April 2017 and nearly three in five (57%) said they choose to shop in convenience stores because they are quicker to get around. Furthermore over half (54%) of 18-25-year-olds born between 1992 and 1999 (dubbed ‘post-millennials’) and two in five (40%) of over-25s claim to shop in their nearest neighbourhood store to save time, even if the cost is a little extra. Two in five (39%) said brand name is the top attribute they use to determine the quality of a product in convenience stores, so collaboration between branded suppliers and retailers remains a high priority to ensure shoppers get the right mix of branded and private label goods. The food to go market is to be worth £23.5bn by 2022, according to IGD, which is up from £17.4bn in 2017. Within convenience, food to go is one of the biggest growth engines of the market, worth a massive £2.5bn and set to grow by £942m over the next five years. This means convenience is forecast to be the second biggest growth driver (behind pubs) toward total eating out of home market sales as detailed by MCA Insight. Busy, flexible lifestyles mean shoppers are shopping little and often, and this culture is causing a boom in food-to-go for convenience stores. To meet this demand retailers and brands need to collaborate, and we are now seeing convenience retailers introducing specialist food-to-go counters in their stores, as well as tailoring their ranges to the different times of day that shoppers purchase in this category. Food and drink marketing in retail convenience is a fine art and only by understanding each sector and the dynamics therein can you begin to craft a brand positioning or a trade marketing campaign which will engage with your key decision makers. Our experience of thirty years in the market has been that integrated trade communications tailored to the sector work best. We work with market leading and challenger food and drink brands and provide a full service solution to trade marketing. Quite simply we are the food and drink marketing specialist. Trade press remains one of the most influential communications in our sector. Ensuring your brand and key messages are top of mind in leading trade publications both in print and online is essential. Using PR to engage with journalists and drive your share of voice through news, features, opinion pieces and profile interviews should form the foundation of your food PR program. Advertising and other paid for media within these key titles will also help demonstrate your support and presence in the channel and will enable you to punch above your weight when it comes to grabbing the attention of your audience. Food and drink brands should consider the use of brand advertising, event sponsorships, category management guides, trade shows and other forms of paid media to really cut through. With our expertise we can help you create the right trade press plan to drive the best return on investment. Category communications is another area that we specialise in. Our experienced team has expertise in delivering award winning category communications programs for a wealth of market leading and challenger food and drink brands. From creating the identity of the category program, to shaping the category advice and top tips, right through to execution of retail trade website, category management guides and advertorials, in-depot activation, case studies, testimonials, retailer forums and much, much more. We really are a one stop shop for effective category trade communications. Furthermore our relationships with wholesalers and retailers means we are the perfect partner with brands who want to harness the power of peer-to-peer advice and create retailer ambassador campaigns. We know retailers trust the advice of other retailers above all else. So working with high profile retailer influencers we are able to create trials and case studies and use the results to develop powerful sales tools and collateral. From flyers and advertising to video and social media we can help you drive word of mouth through retailer ambassadors who’ve stocked your brand and achieved sales success. Check out this video which demonstrates this. As technology has evolved so has convenience retailers’ use of it. As convenience retailers are becoming more progressive and entrepreneurial their use and consumption of video, web, email marketing and social media has increased. There is now an expectation that food and drink brands will engage with them through these channels too. We know what works best and how to create engaging communications that trade audiences act upon. However there is still very much a role and need for more traditional trade communications too. Printed trade press, promotional brochures, high impact DM, trade shows, flyers, and in-depot communications all remain important to communicating with retailers, and of course the trick is getting the balance right. Whatever the communication channel, it all has to start with the message and the ‘so what?’ The convenience retail decision maker is a time poor and demanding audience. Ensuring your brand or product offers a real benefit to them and getting that message across in no uncertain terms is crucial. Insight in all its forms can help build a strong sell-in story, whether that is consumer insight to demonstrate demand, retailer testimonials from those who’ve trialled it, market data analysis to show the category opportunity and demonstrate opportunities for growth, or U&A insight with your target audience to help identify what key product features they really value. Creating a strong foundation based on food trends, insight, layering on strategy informed by market expertise and experience, and executing with stand-out creative – that’s the secret to strong retail convenience marketing. The right team, the right angle, the right channels and there you have it, the recipe for success in the challenging market of convenience retail. You can see examples in our portfolio here. Well, with thirty years experience, a truly integrated approach and a great team we know our stuff (as you can hopefully see from this article). But don’t take our word for it, here’s what others say about us. NB: Please note all statistics are correct at the time of publishing August 2017. However, as the convenience market is a dynamic one they are changing frequently.